Sqaure Enix took a bit of a risk when making this game. It doesn't have super fancy graphics or some super grand story to follow. It really is something new by going back to something old. First off, the graphics are amazing and beautiful but yet they remind you of SNES days. By using the Unreal 4 engine, the game takes retro graphics and makes it 3D by making it look like a diorama. Water glistens, there's depth by making parts of the background out of focus, it really is something. This alone is revolutionary and worth noting. Square should take note and perhaps remaster old classics with this technique. Octopath Traveler also has a wonderful soundtrack. For the most part it has a soothing classical take and the themes for each character match well. As you progress through the game the battle music gets more upbeat and intense and helps with the mood. It's great to listen to as you go about your journey. The story is something new. Most of the time with RPGs you partake in a grand tale where you have to save the world from some sort of evil and in order to do this you band together with a unique set of characters. Well, imagine if you did that but there was no grand story involving the end of the world. There are 8 characters you can choose to see their stories through. The only one you really have to do is the character you decide to use at the start of the game. Once you've finished the first chapter of their story, you can then venture to other towns and experience the stories of the other characters. You can do as many or as few as you want. I did them all because I loved the game. The stories of these characters are probably the weak point of this game. Some of the stories are cliche, like a woman avenging the death of her father and a knight trying to find his place in the world after his town is destroyed in an attack and so on. Really I didn't hate any of the stories but I only really connected with a couple of them. My favorite is the story of Alfyn the apothecary who ventures the world to help people and then has a difficult decision regarding on whether he should help everyone. There's voice acting at crucial times in the stories and some of them are well done and few not so much. H'aanit the hunter, for example, her accent isn't done well and isn't even put in text form well either. But these complaints were minor. The battle system for the game is the classic old school RPG formula. It's turn based and at the top of the screen you can see who will go next for that turn and the upcoming turn. It helps you strategize. Then, each enemy has weak points that you can exploit and "break" their defense. Maybe the enemy is weak to bow attacks or ice spells. Once you break them their are stunned for a turn and you can do extra damage to them. Also, each character has their own set of unique skills and abilities. The warrior can equip a sword and spear while having a lot physical damage. The scholar can do fire, ice, and lightning damage and can equip a staff and has high elemental damage. If you've played a turn based RPG it will be familiar. The "twist" if you will is that you can charge BP in battles to do more damage, kind of like Bravely Default. If you just do a standard action, you will gain a BP. You can continue to do this and eventually instead of doing a standard attack you can do a 4X charged attack instead. So, by doing this you can plan on when you go on the offensive for the most impactful damage. You can gain gold, experience, and job point bonuses based on what you do in battle as well. The other thing about these 8 characters is that they each have an ability that can be used while exploring the world as well. For example, Olberic the warrior can duel pretty much any person you can talk to in town. What's the point of this you ask? Well, maybe you can complete a side quest by dueling someone. Or, if there's a NPC blocking a door in a town you can duel them and once you beat them they'll lay on the ground and you can go inside the door. Tressa can buy things from NPCs, Therion can steal things, Cyrus can scrutinize them and gain knowledge that can be used for other things. These abilities are usually crucial for completing that characters story but it also promotes you to fully explore the towns you go in and provides more entertainment from the towns than normal. There are also tons of dungeons in this game. For the most part they are small which I think is a good thing. Each dungeon has a main path that will take to you the end where there's a boss. Then there are offshoots that will usually take you to treasure chests which often will provide useful items. Each dungeon usually takes a half hour or less which is nice. Save points are numerous in this game as well so it's forgiving in the sense you won't lose a ton of progress if you fall in battle. I basically completed this game to 100%. I did all the chapters of all 8 characters, completed all the side quests I opened up and even unlocked the bonus post game dungeon and did that. If you really enjoyed this game it's worth doing because it does tie the stories together somewhat which is nice but don't expect something super grand from it. All that took me roughly 95 hours to accomplish and I loved turning on the game the whole way though. If I had any complaints is that the battles started to feel a little stale towards the end until I unlocked a secret job late in the game. Also, there were a couple times 10 to 20 hours of game play would pass before I'd get back to one of the characters stories and it was hard to remember what had happened. They do give you an overview which is nice but it made things feel a little bit segmented at times. All in all I thought this was a great game and anyone who loves old school RPGs should give this a try. Early in the game some battles did seem to take a while with enemies having a lot of HP. But, to be honest I think those people didn't really learn strategies that can take out enemies quickly. In Octopath I took a much more aggressive approach to battles than I usually do in RPGs. Knowing when to charge your attacks can really affect things. Boss battles can be lengthy but even those decreased heavily as I went through the game and learned the subtitles. When it comes to JP grinding I really had to do very little. Most of it occurred after I beat the game and wanted to finish other quests. A character can only hold onto one secondary job at a time and the only permanent thing they hold onto are the skills you can learn with each job class. So there were a few skills I wanted everyone to learn but I almost always had JP to pass around. So, you really don't need to and shouldn't be having every character learn everything of all the jobs. Now I took a somewhat leisurely approach to the game and explored a lot so perhaps that affected things. Honestly the only time I see a balance issue coming up or having to heavily JP grind is if you try and race through the game then you might have to tackle these issues. Honestly I didn't have them, like, at all. 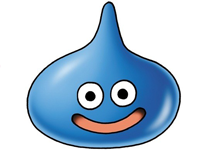 I've done far more grinding in almost every Dragon Quest game I've ever played. 1. How does battle balance feel? Some other reviews have complained that even random trash encounters have too much HP, and the battles take way too long. 2. How's the JP grinding? Any game with a Job system that exists outside of the basic XP/level system can really go overboard with how long it takes to grind up the Job skills you need (e.g., Final Fantasy Tactics).